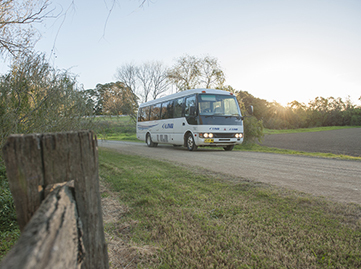 We have a variety of buses and coaches ranging from 23 seats to 57 seats. At Linq Buslines, our role as a school transportation specialist has been instrumental in our success. We are highly dedicated to maintaining and developing this particular element of our coach hire services. 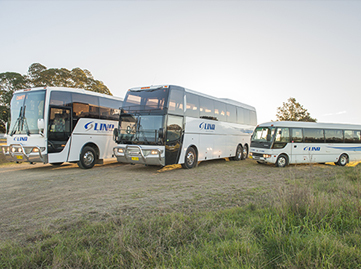 Our company has provided travel for many schools in the Hunter Valley and surrounding areas. 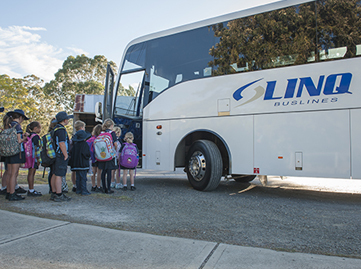 Allow Linq Buslines to take care of you and your travel arrangements. Catering for every occasion, all tailor made to suit your requirements. Whether it’s a wedding, theatre trip, airport journey or maybe a coastal venture we have vehicles to accommodate all group sizes. All our Private Charter vehicles come well maintained with one of our friendly and experienced drivers. Allow one of our drivers to be on your team. Whether it’s the local primary school swimming gala or the top Premiership team, we are on your side. We will travel across the State for fixtures and training. We have the right vehicle for every occasion. May you want all your fans to come along, ask for our various vehicle specs to find the most cost effective combination of fleet provided.